We'd personally like to thank Punxsutawney Phil for bringing Feastival a few weeks early this year. 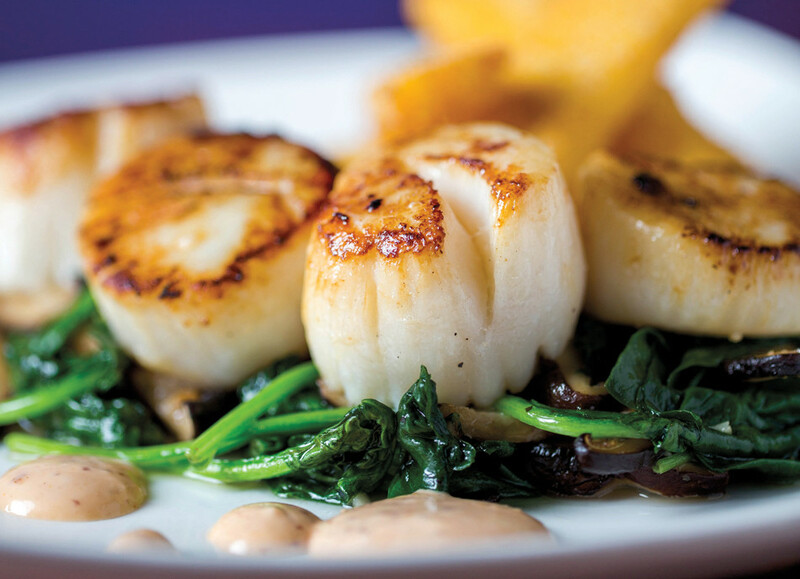 Oceans’ seared diver sea scallops are served with delicious polenta fries, roasted mushrooms, baby spinach and remoulade. Ask for a wine pairing, too. Maybe we can thank Punxsutawney Phil for bringing this foodie bash a few weeks early this year, or maybe not, but either way, it's a good idea to loosen the belt a few notches. Wildwood Park for the Arts is bringing back the crowd favorite Wine and Food Feastival for its 21st year on Saturday, March 16, at 6:30 p.m. at the Cabe Festival Theatre complex. Proceeds from this event go toward Wildwood's gardens, Art in the Park exhibits, Wildwood Academy of Music & the Arts and Wildwood's educational programs. Tickets can be purchased here or by calling (501) 821-7275. For more on the Wine and Food Feastival, visit the Wildwood Park for the Arts website.